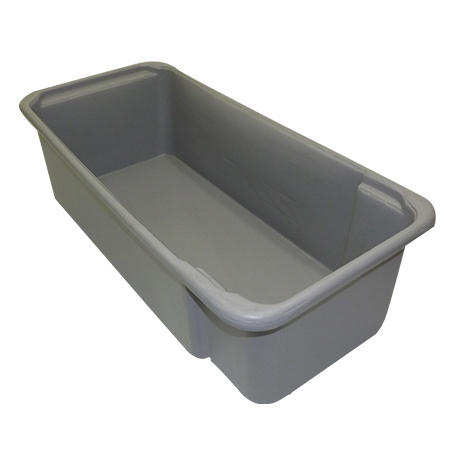 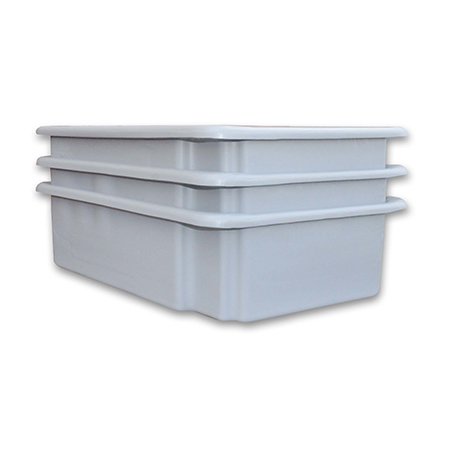 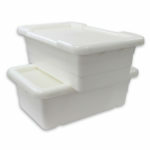 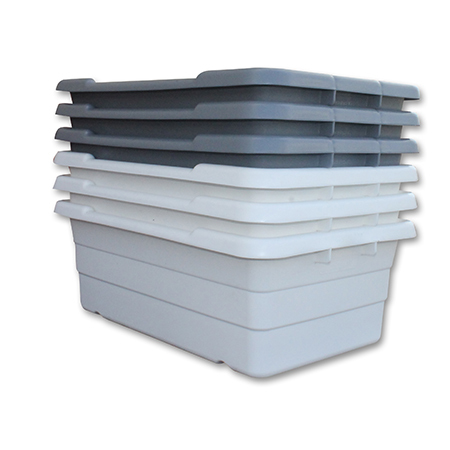 Shirley K’s Stack and Nest 90° tubs also known as meat lugs are NSF approved and designed to stack easily at 90° to permit access to contents by cross stacking and nest when empty. 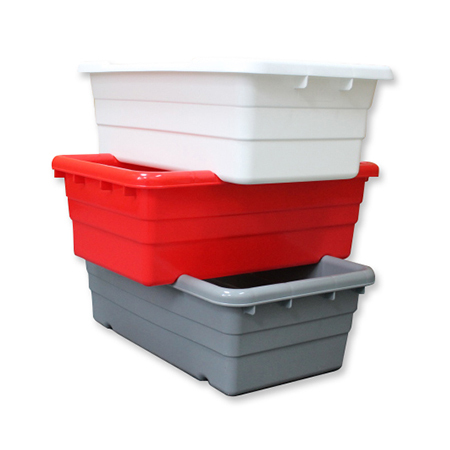 Totes with lids will stack on top of each other as well as across. 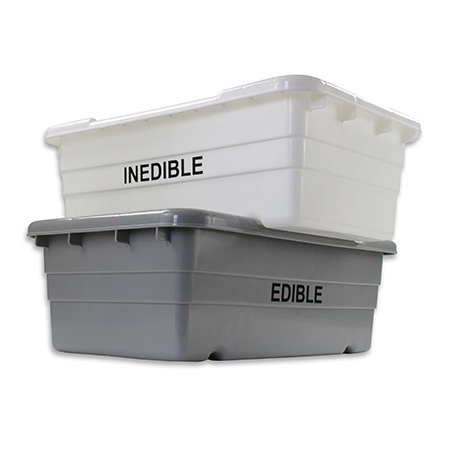 Perfect for pick and sort applications. 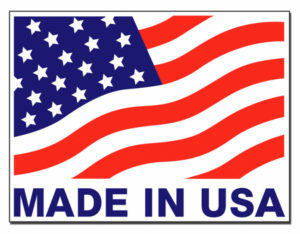 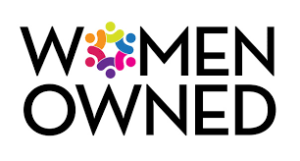 Additional colors, sizes and imprinting is available upon request. 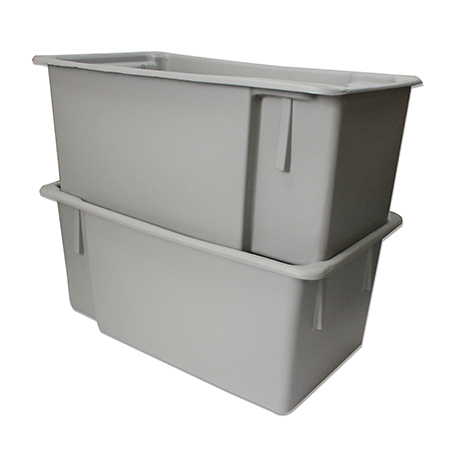 Stack and Nest 180° are versatile, economical, and durable; these totes combine the advantage of secure stacking and the space economy of nesting. 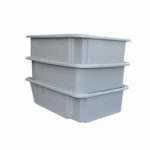 Choose from a variety of sizes to meet your specific requirements.